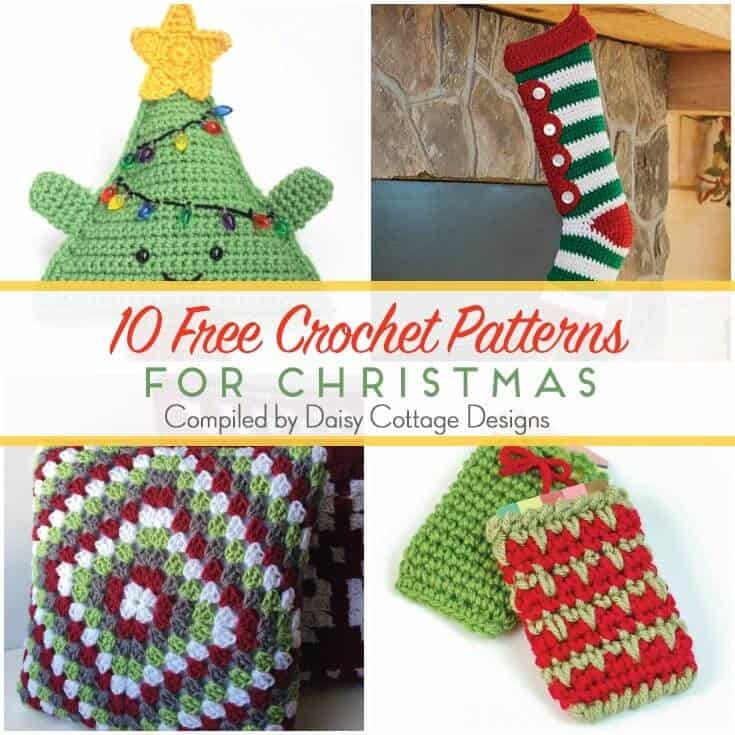 With Christmas quickly approaching, you might be looking for some Christmas crochet patterns. These patterns are festive and beautiful and will make your home look gorgeous this holiday season. Not only that, some of them would make wonderful gifts for your friends and loved ones. From crocheted Christmas ornaments to crocheted stocking patterns – there’s something for everyone! Love these patterns but need to improve your crochet skills before you tackle them? Check out these tips, tricks, & easy crochet patterns to get you on your way! Cuddly Crochet Christmas Tree This crocheted tree would look great used as an accent pillow on a couch, chair, or bed! Crochet Candy Stripes Stocking Pattern This striped stocking crochet pattern is adorable. And you know how I feel about anything with stripes! Classic Granny Square Christmas Pillow I love how a fun color pattern can make a granny square pattern look modern. This pillow is absolutely adorable. Crochet Gift Card Holder Need a quick Christmas crochet pattern for a coworker or neighbor? This is the perfect way to make a gift card look thoughtful! And in case you needed a few more beautiful patterns, here are 6 more that are sure to get you feeling festive. Crochet Plaid Wreath this Tartan plaid wreath is gorgeous! I definitely want to add this to my list of things to make in 2017. Crochet Candy Cane Cover How adorable would these candy canes look hanging on a tree? Christmas Stocking Pattern Another adorable stocking crochet pattern is great for mixing and matching stocking on the mantle. Holiday Ripple Afghan A beautiful blanket that would look gorgeous on any couch. Happy Holidays Tree Skirt Such an improvement on the normal tree skirt. Fair Isle Evergreen Christmas Ornament This Christmas ornament crochet pattern is gorgeous for a table scape or hanging on the tree. 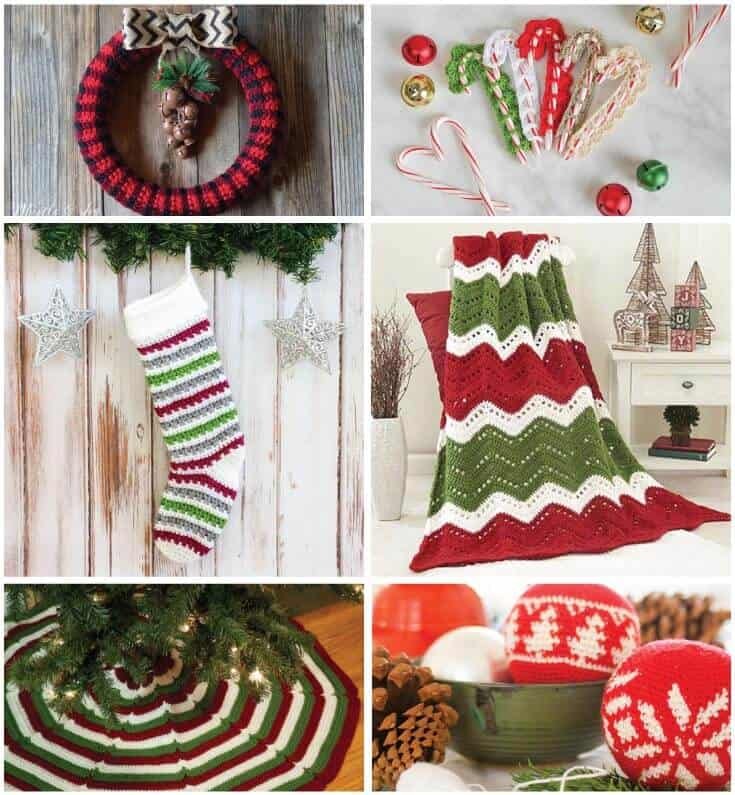 Thanks for checking out these Christmas crochet patterns. Do you have another go-to pattern for the holidays?